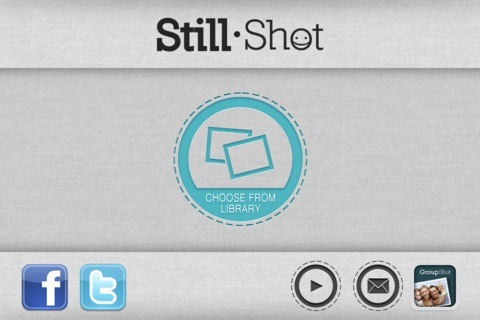 StillShot is one of those basic apps that's so obvious it has to exist. Well, now it does, it was launched today. In essence, StillShot takes any video that you have and converts selected frames from it into high quality photos. The most obvious use of this is when you setup your camera to take a shot, everybody lines up and smiles, you click the button, and suddenly you notice that your camera is set on video mode. With StillShot you have nothing to worry about, just fire up the app, load the video, choose any frame that you want from the video, and save it as a still image. StillShot is also useful when objects are on the move and it's hard to catch a specific moment. Of course you can also use StillShot for capturing a special moment from a video and use it as your desktop wallpaper, to send as a photo to a friend, or even to print and frame. 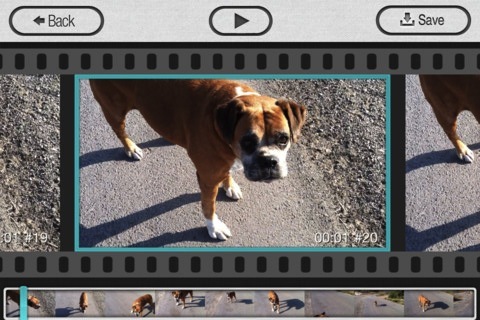 The app can extract frames from any video, without any special requirements. 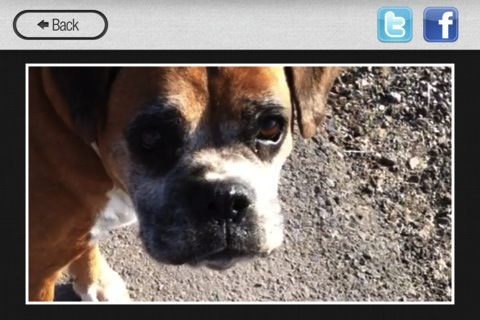 StillShot keeps the original resolution of the video, for example on the iPhone 4s the resolution is 1080p (1920*1080px). StillShot was created by Macademia Apps, the same guys that created the awesome GroupShot app (if you don't have that app you should definitely get it). Everybody knows that battery life is the biggest problem with our gadgets today, especially smartphones like the iPhone. We've already seen a camp stove with USB that charges using fire and even a mask that converts the air in your breathe into electricity. So guess what's next? A bikini of course. Andrew Schneider, a designer from New York, designed this solar powered bikini that has a USB connector that you can use to power your different gadgets (like a phone, camera, mp3 player, etc...). It's made out of solar panels that are woven together using conductive thread. The biggest surprise is that you can actually swim in this bikini (preferably if you are a woman). The bikini itself conducts all the electricity to your electronic devices, it doesn't store any power in the swimsuit itself, so feel free to jump in the pool while wearing it. Just remember to disconnect whatever gadget you have connected to it before you take the plunge. The swimsuit costs £120 and he's already accepting orders now on his site. Sphero is part robot, part ball, and a whole lot of fun. Actually, it's a gadget, a toy, a controller, colorful ball, and a cat toy all rolled up in one. 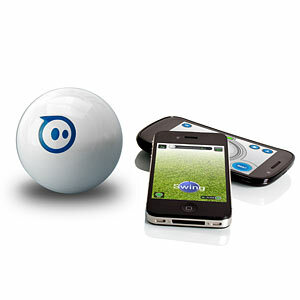 In short, Sphero is a cute little remote control ball which you control via apps on either your iPhone or Android. Pretty impresssive stuff ah? It even works in water! It’s the first robotic ball gaming device that you control with a tilt, touch, or swing from your smartphone or tablet. You can even use Sphero as a controller for on-screen gameplay. Sphero delivers a unique mixed-reality experience with single and multi-player apps that let you engage in the virtual world and play in the real one. Sphero gives you over an hour of full throttle play and even charges with cable-free induction (it has a cute docking station that you just plop the ball into and it charges). Sphero costs $130 and you can order it online today (from their site or ThinkGeek). Now it's time for a serious app. One that every man and woman on the planet needs. 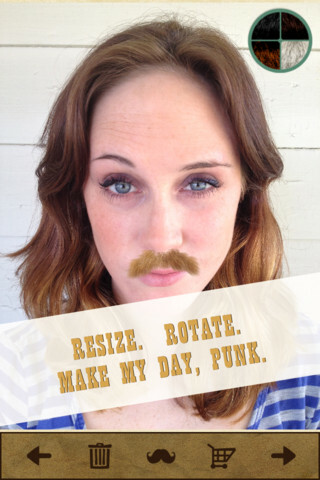 Mustache Bash lets you easily add funny mustaches to any photo. You can choose a picture from your camera roll or take a new one, choose from a variety of different mustaches, and just smack a mustache on any face. The app has a wide gallery of different mustaches and beards to choose from, some realistic looking and others unrealistic. 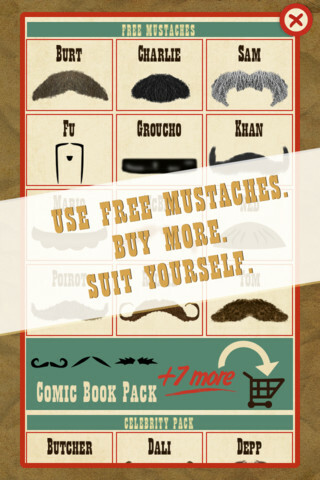 Some are included free and you can purchase additional mustache packs. Once you choose a mustache to add to your photo you can move it around to find the perfect spot to add it, choose it's color, and resize it so it fits exactly like you want it. Once you've completed your masterpiece you can share it on Facebook, Twitter, and email, or just save it in your iPhone's camera roll. 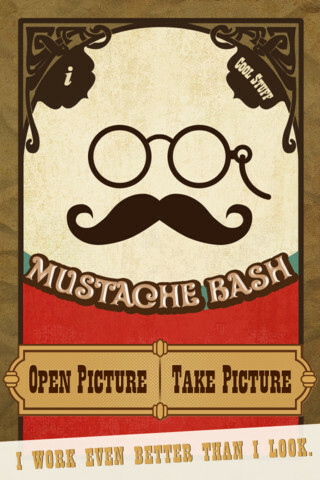 Mustache Bash is free in the AppStore and comes included with quite a few different mustaches. You can purchase additional ones from within the app. 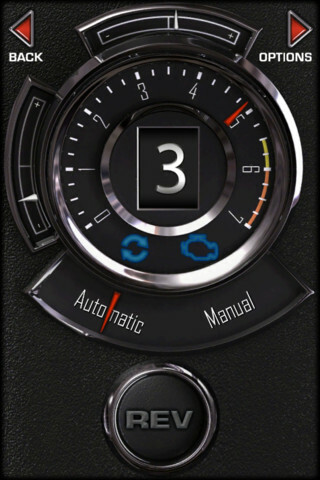 Get your motors running...XLR8 is an app that will save you thousands hundreds of thousands of dollars. And it's a lot of fun. XLR8 (get it, it's pronounced accelerate) turns your plain old Ford Focus into a Ford Mustang (and for another 2 bucks, a Lamborghini). Ok, it doesn't really turn your car into one of those cars, but it does make your car sound like an exotic super car. And in a really cool way. XLR8 uses your phone’s accelerometer and GPS to see exactly how fast you are going and plays a sound of what it would sound like if you were driving a Ferrari or other similar cars. So as you speed up you hear the gears shifting and the motor revving, and when you slow down and stop at a red light you hear the engine growling softly as is idles. To get the best results, secure your phone in your car and connect it to your car's stereo system. 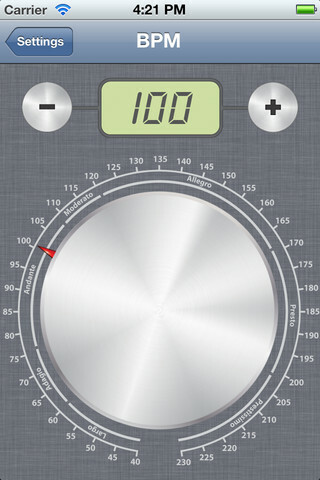 Then crank up the volume and just start driving, the app will make it sound like you're driving a monster. The app also has a manual mode that you can use to play around with when you are not driving (or if you want to manually shift gears in the app while really driving, but that sounds pretty dangerous). 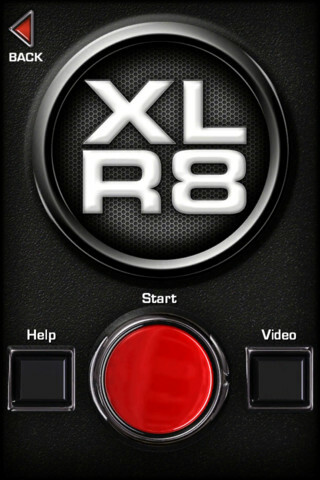 XLR8 costs $0.99 and is available for iPhone and Android. It comes with one car sound included, a classic V8 muscle car. 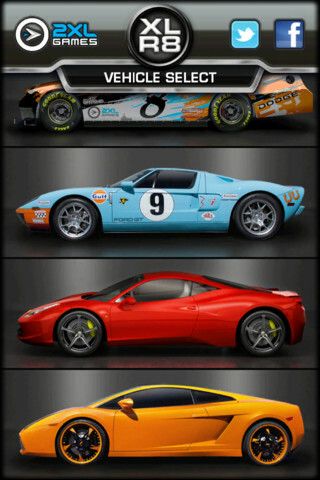 You can use in app purchases to unlock the other cars or purchase a 4-pack of car sounds. In today's game you play a chunk of tofu. Sounds exciting, right? It's actually quite a pleasant surprise. 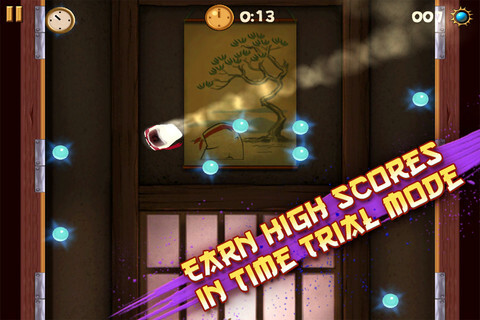 To-Fu 2 is the the sequel to the popular iOS hit, To-Fu: The Trials of Chi. It also was runner up for the 2011 Apple Game of the Year. When I first heard about it I thought a game about tofu would be boring but since it's free I decided to check it out. Turns out this puzzle game is actually quite fun. In To-Fu 2 you are a blob of tofu that you can stretch and fling across the room. Your goal is to reach the "Fortune Kitty", which is basically a pink glowing orb. You drag and stretch the block of tofu and then release it in order to fling it in the direction you want (they call it "ping" or "pinging"). 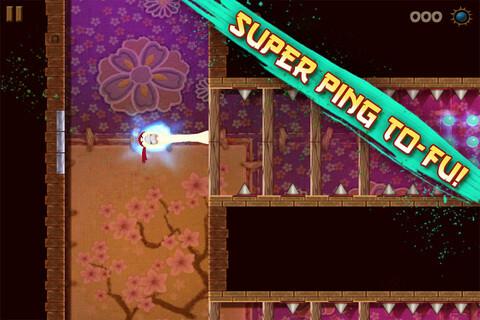 If you stretch the tofu and hold it for a few seconds before releasing you get a "super ping" which can break wood and is faster (useful for getting past flickering lasers for example). 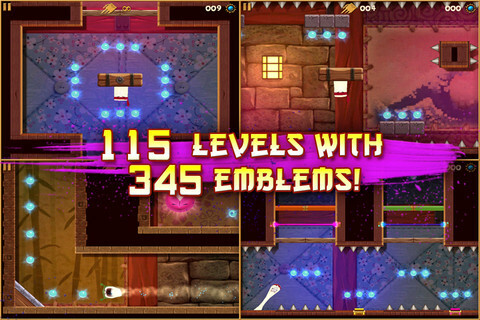 The different levels have booby traps, platforms, and other obstacles that you have to get around or avoid (like spikes and metal saws that you aren't allowed to hit). In addition, in order to score more points you need to try to reach the fortune kitty in the least amount of flings and grab as many chi jewels as possible (trying to collect all the chi pellets is pretty hard on some levels). The graphics and sound are not too fancy but pretty good and very cute. 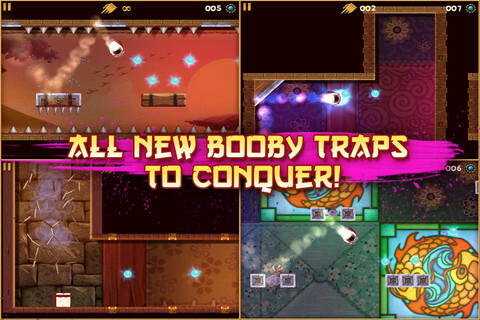 To-Fu 2 is free in the AppStore and you can pay $0.99 if you want to remove ads (as an in-app purchase from within the game). Music games like Guitar Hero and Rock Band were such a huge hit because they let anybody become a rockstar. 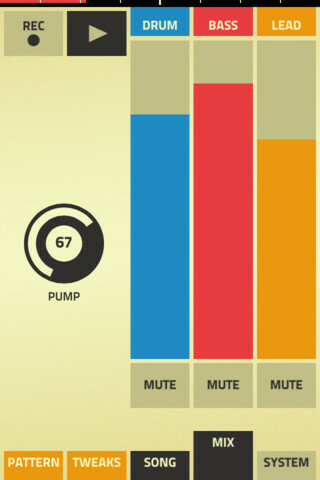 Figure, which we covered a few days ago, lets you create electronic music. But what about a game that just teaches you to play the good old piano? JoyTunes has you covered. 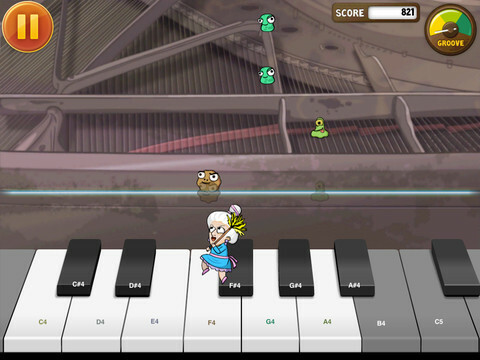 Piano Dust Buster - The Song Game by JoyTunes lets you use your own real piano, or a 3D virtual one, to learn how to play your favorite songs. And you don't need any wires or adapters, the game is activated by a real piano/keyboard. 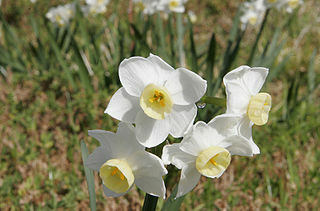 It "hears" what you are playing and the game progresses accordingly. 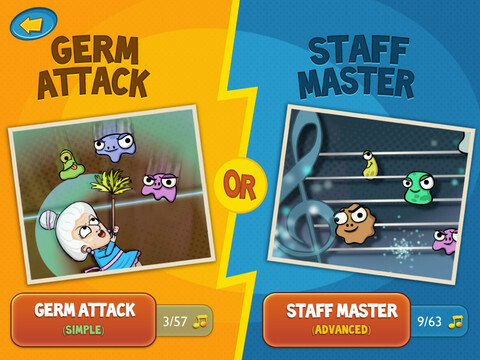 Piano Dust Buster was designed to teach musical skills while in the fun and engaging environment of a game. 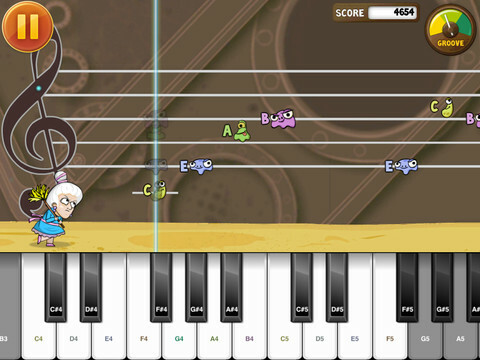 It teaches note names and rhythm while the player is accompanied by rich and high quality concert music for the song they are playing. 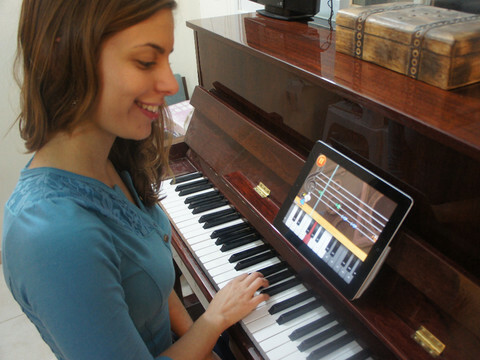 The app has a big selection of free songs at various levels of difficulty, including - The Entertainer, La Bamba, Swan Lake, Bach Air on G String, Auld Lang Syne, Amazing Grace, Beethoven’s Ode To Joy, Jingle Bells, Fur Elise, Mary’s Little Lamb, and many others. Additional free songs are added all the time. 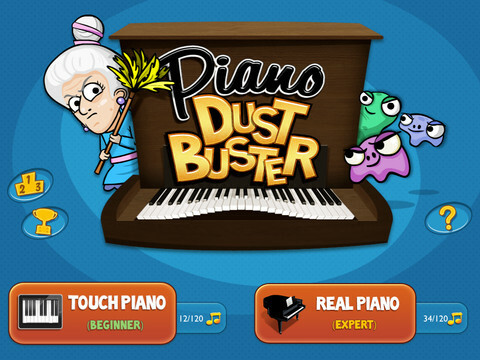 If you don't have a real piano or keyboard you can use the 3d virtual keyboard to play Piano Dust Buster. It only runs on the iPad and is free in the AppStore. One of the things that makes photos look great is a narrow depth of field, that soft blur in the background that makes the object of the photo really stand out (while still giving it some context in the background). Large Aperture Pro lets you add that effect to your photos and make your backgrounds look out of focus. The way the app works is that you load a photo and then mark the areas of the photo that you want to blur out. The app gives you some basic drawing tools, like the size of the brush and how far it extrudes from where you're touching the screen (a great little feature by the way, it lets you draw on the screen without having your finger hide the actual part you're drawing). Once you've drawn the entire background that you want to blur, just choose the aperture size and the app will create the blur effect accordingly. 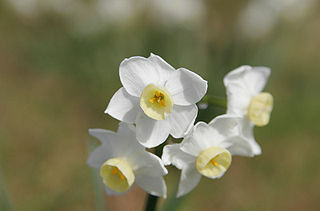 The larger the aperture size (the bigger the opening on the camera), the shallower the depth of field will be, and the more blurred out the background of your image will look. The app itself needs some improvement. When you first launch it, it's not really clear what to do. You need to first click on the icon at the top left, with the arrow, in order to load a photo. I suggest you then click on "Aperture" at the bottom and move the slider all the way to the left to choose F0.95. That will create the strongest effect. Then just play around by touching different parts of your photo and see what happens. Once you get the hang of it then try it out for real on a photo that you really want to touch up. Once you get past that, the results you can create with a bit of patience are pretty good. 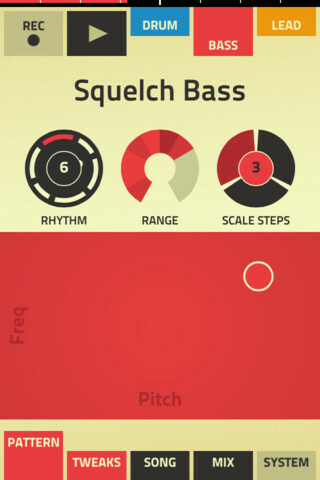 Figure is a fun app that anybody can use to make music. Without any musical training you can create your own music that sounds great. Professional and even amateur musicians have expensive boxes and programs for creating and recording songs and beats. With Figure anybody can do it, even while on the go, and get great sounding results. 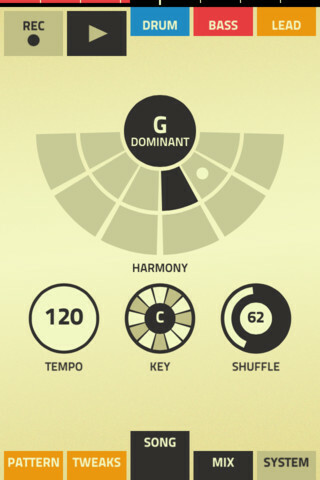 The app gives you a simple interface for laying down the different elements of your track. You can record drums, bass, and lead synth. 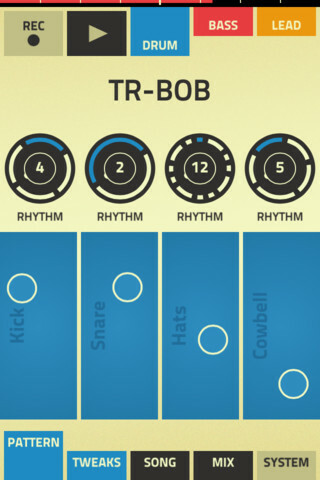 At first the app may seem a bit confusing, but as you start playing around and tapping the different parts you quickly get the hang of it. Every part of the song that you want to record is controlled by sliding your finger across the play pad for that instrument. 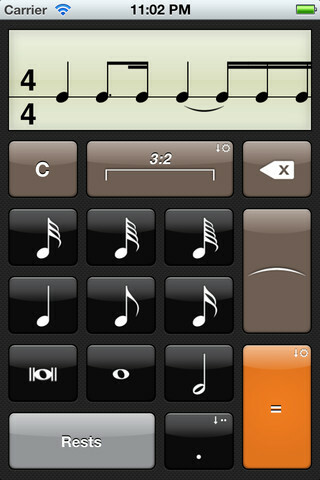 The app makes sure that you always stay in key and on the beat, so the results always sound good. With a little playing around and practice, the results sound great. The fun thing is that you don't need any previous playing skills in order to get good results, and if you do have previous experience with creating music, you'll just create better results faster. As you lay down your different tracks you can go back to each individual instrument and tweak it on the fly. You can change the sound (for example there are tons of different basses and drum kits to choose from), change the rhythm, the complexity/intricacy of the part, and the final mix between the different sounds. 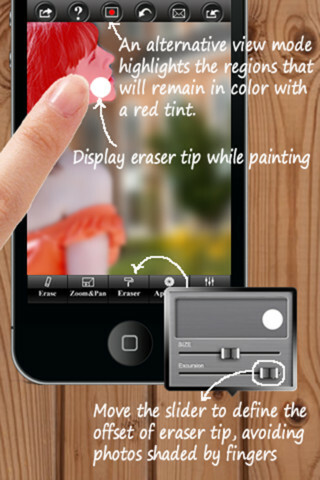 Figure costs $0.99 and works on iPhone 4 or higher and iPad. It is not recommended for iPhone 3GS. Today's game is one of the most beautiful games I've seen on the iPhone/iPad recently. It actually even received reviews like this: "Crow Could Be the Greatest iPhone Game I’ve Played" and "This is the best game I've ever played on iOS". 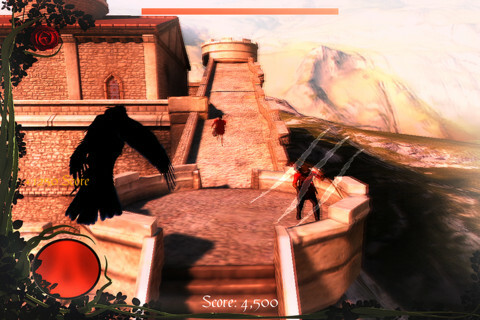 Crow is a story-driven action-adventure for iPhone, iPad, and iPod Touch. 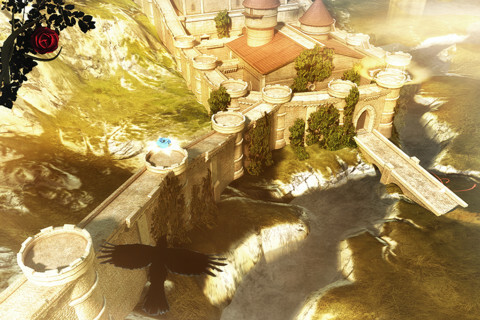 In this game you are a crow and you fly above a gorgeous countryside, as the story unfolds. 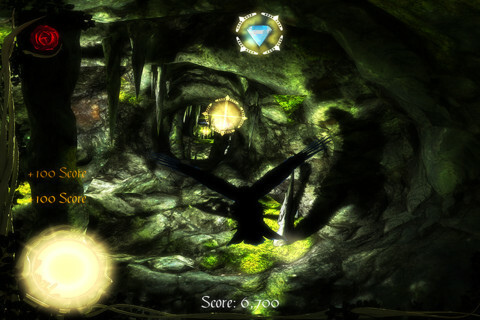 There are different parts to the game, sometimes you just control the crow as it flies and need to find trinkets and gems that are scattered across the land. At other times you have to fight different enemies you run across, each time the battle is a bit different as you unlock more powers. When you first launch Crow you immediately see that this game is uniquely beautiful. The overall atmosphere created by the stunning graphics and sounds is really what make this game interesting. I guess that and the combination of being able to fly like a bird which is a childhood fantasy we all share. Just controlling the bird as you fly above the beautiful 3d world is fun. Crow is not another casual game, the storyline seems a bit more complex at first glace, although you can just skip through all the plot points and just get to the flying and fighting. 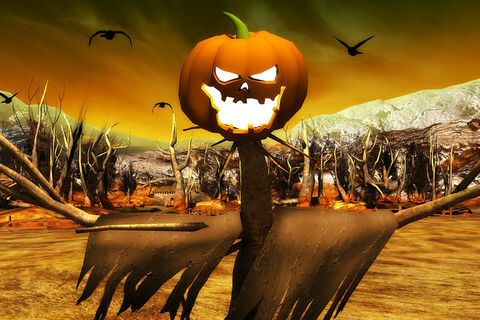 Its scary atmosphere from a bird's eye view is not even close to Angry Birds style games. 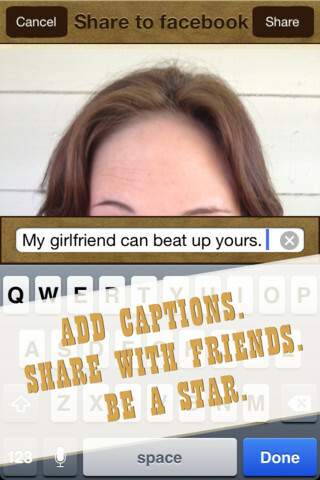 When is the last time you saw a trailer like that for an iPhone app? Crow is more expensive than usual, it costs $4.99, and is a Universal app for both your iPhone and iPad.